In addition, the moon can now have both a waxing and waning phase - which means that you can now see the moon growing to full, and receding to new moon each throughout the month. So that everyone knows, this was actually 'my' mod, DevilXD has helped me build it and has uploaded it here. He did so much of the work on this, I felt that he deserved the credit for the Mod. Basically, it was just my idea. 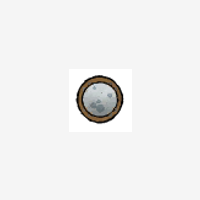 Not sure if you guys are aware but everytime you get out of caves it always shows the icon for the full moon, while it actually isn't gonna be one. When night comes it switches to the correct one. Might want to look into that. so how can i create a mod too? I've learned everything on examples and questions... Feel free to ask someone on the forum for help... Good luck !